You have to develop your practice yourself as a self-employed barrister, says Laurence Page, a junior barrister at Hardwicke in London, revealing the reality of life at the bar. “Solicitors can and do pick and choose their advocates so you need to know your client as much as you need to know the law to do a good job,” he explains. Page has done just that: successfully building up his court and arbitration practice in commercial and construction litigation and dispute resolution, not only in London but also making a leap into the unknown by marketing himself in Dubai. 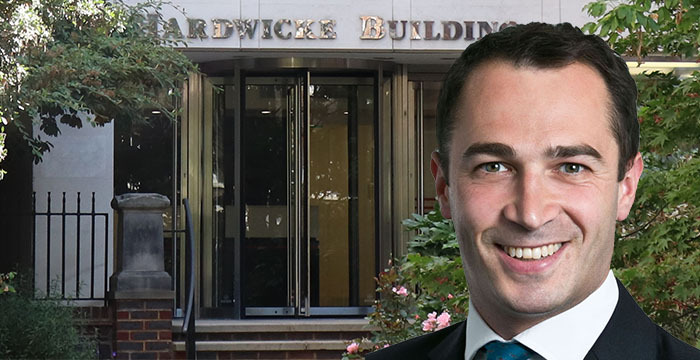 In fact, the Hardwicke barrister spends a fair proportion of his time at the Middle East destination, which, he says is “very international, very open”. Dubai has its own ecosystem, which presents opportunities, notes Page: “There aren’t many other places where you can call up a magic circle lawyer as a relatively unknown junior, and successfully invite them for coffee”. Working on cases in the Dubai International Finance Centre’s (DIFC) court, is not that different from a London court: “Their rules are like the CPR [Civil Procedural Rules], only it is as if someone has thrown the rule book up in the air, letting all the pages get mixed up: it’s broadly the same stuff, just in slightly different places,” says Page. But the work is not for the faint-hearted: Page is currently part of the counsel team representing a financier, Sanjay Shah (alongside other principal defendants), in a high-profile case being brought by the Danish tax authorities (called ‘SKAT’) involving an alleged £2 billion fraud. He has also recently successfully acted in a trial involving one of the latest farming techniques of using special lights to speed up the growth of plants — representing a company that has developed some of these horticultural lights in a royalties row. Following successful completion of an LLM in medical law and ethics, he initially opted for a career in personal injury law, joining 12 King’s Bench Walk for his pupillage. But having completed he quickly realised that personal injury law was not for him, preferring instead a more commercial route. So, in quite an unusual move for a barrister, Page opted to spend a year outside of the bar building up some commercial experience at the law firm Plexus Law. As it turned out, this was time very well spent: “It was really useful as I came to understand the pressures that solicitors are under, and what they need from us barristers, as well as getting lots of exposure to commercial cases,” he says. Building up these skills served him well. Following a rigorous interview process, Page went on to secure himself a place at Hardwicke in 2013 as a ‘probationary tenant’ but was quickly taken on as a fully-fledged member. Laurence Page will be speaking at Legal Cheek’s latest bar student event, ‘How to make it as a barrister’, on the evening of Tuesday 4 December at ULaw Moorgate. The event is open to all students. Apply to attend.